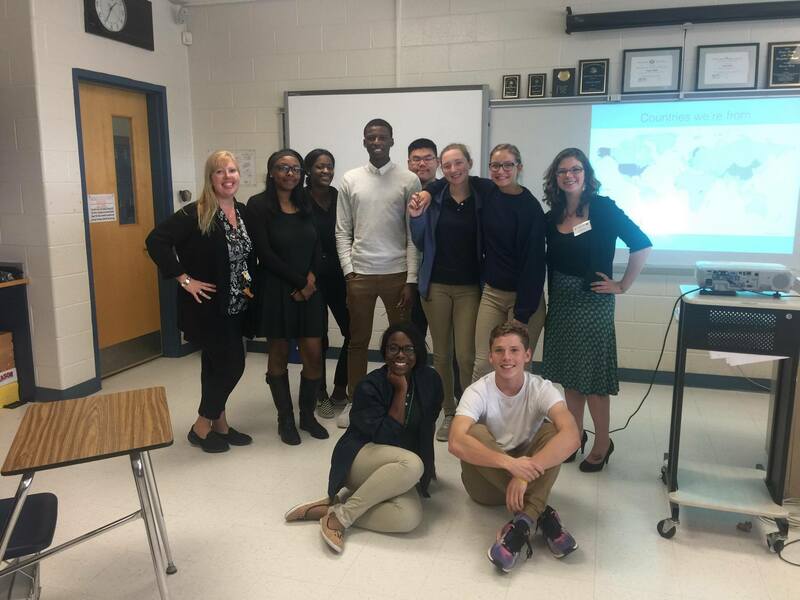 On 7 June 2017 Courtney Quinn returned to her alma mater, Winslow Township High School (Atco, NJ, USA), to discuss with the students what she had been up to in the 8 years since her graduation. Courtney primarily focused on her work with the CRITICS ITN. Her host was none other than her own Honors Trigonometry teacher from 11th grade. 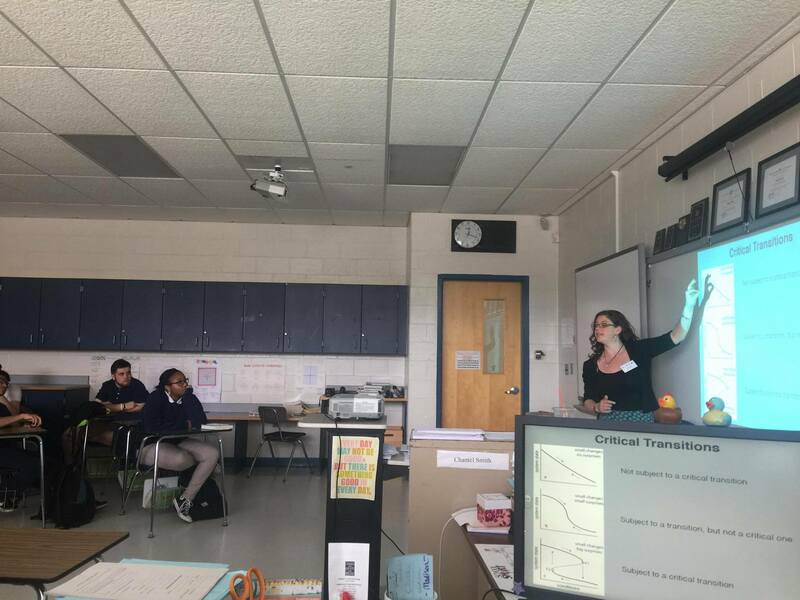 Courtney spoke to seven different mathematics classes that day, ranging from Advanced Placement Statistics to College Preparatory Pre-calculus. There were two main aims of her outreach. The first was to bring attention to the type of research we do, namely “critical transitions”. Courtney not only discussed the mathematics behind our work, but also the widespread applications it has in the real world. The impact of mathematics is not always understood at the high school level, so it is important that students see how essential it is within all of the sciences. The second aim was to introduce the idea of having a career in research and what life is like for a researcher. Finally, Courtney shared some inspirational quotes from other CRITICS ESRs about how they felt leaving high school and why they eventually decided to go into research. The students were very interested in the stories of the other researchers and how our network has united people from all over the world. Special thanks go to Chantel Smith for arranging Courtney’s visit that day.